Alison began in social media at the beginning of social media itself, setting up the first Facebook pages for some major brands. 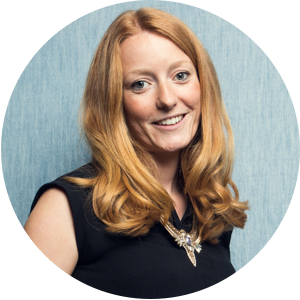 From within agencies, she sowed the seeds for a successful freelance career: now managing, training and speaking for a range of clients. Scroll down for key takeway points, but first sign yourself up so you don't miss a thing! Be Inspired By Other Freelancers! Sign up to receive news, updates and freelance inspiration every couple of weeks. We respect your privacy. But not your cake. You know how everyone bangs on about how powerful video and audio content can be? Yeah, well Steve helps businesses make it and make the most of it. Find out more at stevefolland.com, track him down on Twitter @sfolland or lay a trail of cake and he'll eventually catch you up. Steve Folland: [00:00:00] I'm Steve Folland thanks for listening. Let's find out what it's like being freelance for social media consultant Alison Battisby. Steve Folland: [00:01:43] Hey Alison. Alison Battisby: [00:01:45] Hello, how are you doing? Steve Folland: [00:01:45] I'm well, thanks for doing this. So how about we get started hearing about how you got started being freelance - how you ended up doing what you doing. Alison Battisby: [00:01:54] Yeah well I actually trained as a newspaper journalist back in 2008 with every intention of going to work for a national newspaper in London. Unfortunately it was the year the recession hit and as I was doing my work experience at places like the Daily Mirror and The Sunday Times I was just seeing journalists being let go, being told that they no longer had a job but it was really, really sad times. And I realised, you know what, if there's not actually going to be many jobs available in journalism I should probably start thinking about something else so I started writing an online blog in the area where I lived in Dalston in London and quickly got about 2000 readers a month, got up to about 10000 followers on Twitter which was great and realised actually I love online writing and social media. Alison Battisby: [00:02:47] So I went to go and work for a digital marketing agency and ended up being their very first social media executive. This is around the time when Facebook and Twitter were just starting to make waves and their biggest client, which was Tesco, wanted a Facebook page. So we ended up launching their Facebook page for them which is really exciting and learned a lot along the way. Alison Battisby: [00:03:16] I stayed at that agency for about two years and then I went on to another agency where I worked on clients like Pringles and Nokia and Landrover and then I went freelance in 2011 because I was just getting asked so much by friends ,family, friends of friends: "Oh you do social media, could you help us with our business or could you help us with this project?". And I just thought there's a huge opportunity here just to to live a bit more flexibly and work on projects I want to work on. Steve Folland: [00:03:44] Well so as you did that presumably you were stepping back from, like maybe you didn't by the way, but stepping back from working with huge brands. Alison Battisby: [00:03:55] Yes initially I was although over the years I have been lucky enough to work with some big brand projects through agencies so I still freelance for large agencies and have worked on projects for the British Heart Foundation, Brita, Estee Lauder - so I'm still managing to do big name stuff but they're not direct clients of mine. Steve Folland: [00:04:22] Well there's clearly loads to talk about. First of all, how did that feel stepping away, like going freelance. Steve Folland: [00:05:29] Would you have been dealing... I guess in an agency you would have some sort of project manager, an account manager or whatever dealing with the client so you kind of almost shielded from them. Alison Battisby: [00:05:38] That's it, I never met my clients at my second agency which was a real shame because there were 24 of us on a social media team. So you've got your account managers, directors, you've got your strategists, your reporting team. So I was a community manager so I was looking after the Facebook community of a lot of those sites like Pringle's, Nokia but I never actually met the clients. That's the bit I really missed. Steve Folland: [00:06:06] So how does it feel then when, you know, when you've come from that background where you've got such a almost bloated, bloated is probably the wrong word, but a huge team of people with a shoe a team of people with different roles and then suddenly you're doing everything. Alison Battisby: [00:06:21] Yeah, yeah it is. I mean I guess that's where I had to really adjust my services that I offered and make sure that I just wasn't offering anything that I definitely couldn't deliver. Especially because the agency would pay for very expensive reporting tools, they would pay for and budget for things like massive competitions and advertising campaigns whereas as a freelancer you can't really cover that. So I definitely had to get to know some of the free tools that are out there. I have to cut a few things out of the services that I would offer and just be a bit more realistic with the client and saying you know if you want to run a competition in social media that's great but you're going to have to cover the budget for the prize, some Facebook advertising, all that kind of stuff as well. Whereas at the agency week we probably would have done that for them. Steve Folland: [00:07:13] So you go freelance. You mention that you kind of have people going "oh can you do this, can you do that". Is that literally how it started, how did you find your clients? [00:07:23] I think I was lucky enough that I had been in the industry for, you know, three three/four years anyway and so I first of all just told absolutely everybody I'd ever met in the digital advertising world that I was going freelance. Alison Battisby: [00:08:16] I was lucky enough that actually, I know people are going to hate me for saying this, but the work did kind of flow in. I think I am very lucky that I kind of got in there as a social media consultant at the right time because now there are a lot of people out there that claim they do that kind of work but perhaps don't have the experience that you might need. So I think I really have managed to ride that wave at the right time as well. Steve Folland: [00:08:43] You are a pioneer! Putting up Tesco's Facebook page. Alison Battisby: [00:08:45] You could say that! I was a pioneer. Steve Folland: [00:08:49] Seizing the opportunity. Alison Battisby: [00:08:50] That's it. Steve Folland: [00:08:50] So now you don't trade as yourself as in Alison Battersby right? Alison Battisby: [00:08:58] Yeah I used to. But I actually made the decision in 2014 to become a limited company and trade as Avocado Social and the reason I did that was I've started to do a lot more speaking events so I will now speak at conferences, networking groups, I do mentoring. I speak at, you know, private members clubs in London and to do that as Alison Battersby was fine but I found that people were beginning to know me as Alison the freelancer and I wanted to create a bit more of a brand around Avocado Social around what I was doing and also I wanted to expand the team so I wanted people to be able to email clients on behalf of me and I thought the best way of doing that would be to become Avocado Social. Steve Folland: [00:09:55] It's interesting though because obviously as you do speaking then it is very much about you and your personality and your personal relationships and stuff like that and yet it was that point that you step back. Alison Battisby: [00:10:09] Yeah I think I just, when I was speaking on the line up with other people it was very much, you know, they had their logo up on the slides, they spoke about their work that they did as a company whereas I'd sort of like tootle on stage and just be like I am "hi, I'm Alison, the freelancer". [00:10:30] So I think it was just giving the business a bit more credibility and it's worked really well because people remember the name Avocado Social. People love the brand and I've now got three subcontractors. So for them to be able to have conversations with my clients under the umbrella of Avocado Social just works so much better. Steve Folland: [00:10:55] Yeah I can see that actually yeah, so on the line up for an event, suddenly it says Alison Battisby of Avocado Social. Alison Battisby: [00:11:00] Yes, exactly. When they ask for a logo to go into the brochure it's not really just kind of Alison Battisby written in. Steve Folland: [00:11:11] Draw a strict picture of yourself. Alison Battisby: [00:11:15] Exactly! It's now my why put up a proper logo which looks a lot more credible. Steve Folland: [00:11:18] Yeah. Did did you invest into it then as you changed from presumably you had an Allison Battisby site or whatever. So what was it was the way it was before, what came after and how did you do that? [00:11:29] I had a really simple WordPress landing page with really limited information on it and my blog and my Twitter account as well. And what I did was when I launched Avocado Social I'm lucky enough to work with a lot of web designers and developers so one of my friends created me another really nice Wordpress site but a lot more branded. He helped me develop a logo and then I set up Avocado Social's own social media. I've actually very recently gone through a whole new website redesign as well. And that's been really exciting and actually increased my website traffic as well which has been great and I used a branding consultant who's down in Peckham called Cara Bendon for that. So I actually invested a bit more this time because it was something I wanted to spend some time with an expert doing and actually go through the stages of creating the brand identity. Steve Folland: [00:12:31] So you found that really valuable? Alison Battisby: [00:12:32] I did yeah and you know creating personas and things like that was something I hadn't done before so now I have a complete grasp of who my target audience is and the people that are likely to come on a workshop or to engage in some social media consultancy and I don't think I'd know. I think I'd have taken the time to actually sit down and step back and properly think about that had I not been developing the new website. Steve Folland: [00:12:57] So has that helped you focus your marketing? Alison Battisby: [00:13:00] Yeah definitely. And I actually have my three personas kind of on my noticeboard where I sit, on my desk so I can sort of when I'm thinking of the next blog post to create I can really focus that on one of my target audience. So it's been great. Steve Folland: [00:13:18] So there's so much kind of flying at me here to pick out of the air and throw back at you. You mentioned taking on subcontractors. Steve Folland: [00:13:28] Which is interesting in itself because that almost sounds like you'd take a particular project and simply say "right this is yours" rather than... do you know what... so you didn't call them a freelancer, you called them a subcontractor. Alison Battisby: [00:13:41] Yeah I guess because the three ones I use are doing stuff for me consistently because they're retained clients. Steve Folland: [00:14:50] So you do treat them as a team of your company. Alison Battisby: [00:14:54] Yeah yeah yeah I would say so like they've got Avocoado Social email addresses. I let them meet the clients, that kind of thing. And yeah as far as... I mean all of my clients are very aware that they're not employees and that they are freelancers as well. But yeah it does work. It just tends to work really well. [00:15:19] But I wouldn't be in the stage where I could take any of them on full time and the other thing is is that they've got other freelance clients as well. So I think it works quite nice to keep the variety, so things that they're learning from running other social media accounts external to mine, they might be bringing some of that knowledge to have acquired a social. Steve Folland: [00:15:40] Right so there's that. Now you have your training and your speaking so as well as sort of like bringing clients in and managing them, that's where the main focus of your time is now. Alison Battisby: [00:15:52] Yes. So I take regular workshops in around the UK actually, not just in London. I've recently been up in Leeds, Sheffield. I was over in Swansea recently so it's not just kind of in the London area. [00:16:09] I teach full day workshops in-house or I do public workshops where I take up to 10 people for the day and that's covering kind of all aspects of social media from the latest updates with the platforms to how to run and engage the community, to how tom easure it as well, how to understand if you're doing a good job. And that seems to be going really well and I really really enjoy that that side of it. I think where I can actually teach people the skills to go and do it themselves that's where I get a buzz. Definitely. Steve Folland: [00:16:47] And do you find that both the speaking and the workshops, does that feed back in as a marketing tool or is it simply an income if you see what I mean. Alison Battisby: [00:16:57] Yeah I would say so. [00:17:00] I've definitely had people that have been on a workshop that next time they're doing some social media, in terms of maybe running an advertising campaign or a big competition, they would get back in touch for some consultancy. So it does work really well and the speaking events as well, I usually tend to get people coming getting my card at the end and then usually they will get in touch which is great as well. Steve Folland: [00:17:25] Sounds like you've got a hell of a lot going on! How do you like manage your own workload, your own time. Alison Battisby: [00:17:32] Yeah I do. I'd say that's probably my biggest struggle. Steve Folland: [00:18:17] Can you find yourself just working from early to the latest of late. [00:18:23] I'd say I don't do a lot of that I'm usually quite good but this month I did probably take on a bit too much. [00:18:32] But now I've just finished a massive project and that's done now so I know that the rest of June I can relax a little bit and I am quite into my running so I'm definitely going to get out there and do some nice morning runs and maybe a bit of yoga as well. So that's how I switch off. Steve Folland: [00:18:52] When you're spinning all of these plates, how do you sort of stay focused on something? Because it could be easy to have, you know, this client get in touch, that client get in touch, a new enquiry here but you're preparing for a workshop over here, some things come up. I can imagine as a lot of things popping up at once like a whack a mole. Alison Battisby: [00:19:11] There are definitely and I think what you've got to do is try and try and limit how much time you're spending on each particular part of your to do list. [00:19:22] So I'm a huge advocate in to do lists. I used the day designer which is a printable worksheet you can just download for free online and I have all of that off line I way prefer writing with a pen for my to do list. I don't know I'd find it really satisfying... maybe it's the journalist within me. And I will actually then separate my day so I'll say OK, first half an hour = emails, then social media for half an hour, then I'll do two hours on this particular project, then back to social media, then I'll check my emails again and then this afternoon I'll do three hours on this project. So you do actually have to chunk out your day. Of course what that doesn't account for is if I get any urgent client calls or I tend to get quite a lot of "can you do this for me by tomorrow". So I think it's just knowing when you can push back and what you can what you need to prioritise as well. [00:20:21] But it's it's hard but. Steve Folland: [00:20:23] It is, isn't it. Yeah. But it sounds like you're getting good at letting go and delegating. Steve Folland: [00:20:33] So maybe there's an opportunity to delegate more. Alison Battisby: [00:20:36] Yeah that's it. I've just actually brought on a new freelancer as well who is going to be doing a day a week for me over the next three months. I'm really looking forward to delegating some of the kind of more admin tasks to her like updating my website with my latest events, doing some of my blogging, organising some guest blogging. All of that sort of stuff and putting together my webinars as well. That's another side of how I get work and yeah running my Facebook group as well. That's another one that takes time. Steve Folland: [00:21:12] Okay, you see I'm creating my own to do list now of things I need to talk to you about, how you get clients and market yourself. Steve Folland: [00:22:25] On to the rest of the to do list then of your ideas. So, ways you find clients, webinars or whatever. So yeah ways that you get your clients to you. Alison Battisby: [00:22:34] I would say first of all we've got the speaking events, so the live speaking events. I probably do one or two a month around London or around the UK. So they would normally come in through people just getting in touch with the website or I have a couple of partners I work with like General Assembly and Enterprise Nation who will regularly ask me to provide talks at evening workshops and things like that. Steve Folland: [00:23:02] So who are Enterprise Nation? What sort of company is that? Alison Battisby: [00:23:04] Enterprise Nation is a fantastic membership group for anyone who's starting a small business. It's very cheap, it's about £50 pounds a year and you get access to events, webinars, advice. Steve Folland: [00:23:20] Ok so they put on lots of events and they now know that you can do that so they call on you. Alison Battisby: [00:23:24] That's it, exactly. So that's the kind of offline side and online I do quite a lot. So I do a monthly free webinar which is a half an hour webinar which I run through GoToWebinar. And you can sign up to join that webinar through my website and it's completely free. All I ask is for your email address and contact details and then I will focus the webinar on a particular subject that month. So we've just done Snapchat for business, the month before that I was doing scheduling tools Facebook ads, the month before that I was doing scheduling tools. So I will take my listeners through some top tips and case studies and then answer some questions at the endd. And the last webinar I ran I had 90 people sign up so they are a really good way of gathering email addresses and also just showing off that you do have the expertise and that you are a trustworthy person maybe to come on a workshop with. Steve Folland: [00:24:26] How do you market those webinars? Alison Battisby: [00:24:28] I market them through my existing email list. I market them through social media and I also just make sure I mention them whenever I'm speaking at events as well. I think it's a really nice way in as well so I've had people who've listened to my webinar and then decided to come on a full day workshop with me. Because sometimes you just want to check that the person you're going to pay for a workshop with, does know what they're talking about and is normal. Steve Folland: [00:24:59] Okay so we've got webinars and how else online. Alison Battisby: [00:25:04] So I've recently this year started a Facebook group and the group is called the Avocado Social Media Hub. And the group is really designed first of all for anybody that has come on one of my training courses or been in one of my talks. I found that often my delegates would want somewhere where they can come and share their ideas or feedback on how they've performed since coming on one of my workshops. So I developed the group for that purpose and then I realised actually people were asking me if they could join it just from reading my blog or hearing about me through a friend. So I've actually opened it up so anybody can come and join the group and we've got nearly 400 people now which is great. And it's just a really nice community. It's really friendly. Everybody's up for sharing ideas or apps or tools that they would recommend for social media and it's a nice way as well just to get people engaged in what I'm doing as Avocado Social as well. So if I am speaking at any events I'll always post them to the Facebook group first, almost like you're getting the exclusive news by being part of the community. Steve Folland: [00:26:18] Have you tried doing a Facebook Live to them? Alison Battisby: [00:26:22] Do you know what, I know it sounds really silly but I'm actually really nervous about doing it. Steve Folland: [00:26:35] That said though, there's a video on your website. Alison Battisby: [00:26:36] There is! There's a lovely video on my website which a a lovely lady called Nicky did for me. [00:26:42] Nicky Woodhouse, her website is woodhousetv.com. [3.3] And yeah we created that video together. But again the first few times I shot some of those pieces I was just clamming up, it's very strange because normally I'm just absolutely fine talking to people. Steve Folland: [00:27:00] Have you noticed any difference since you've put that video up? Because it's... I mean okay I do video stuff myself so I tell people it's a great way of kind of building a connection, people actually get to know what you're like and blah blah. But have you actually felt that for yourself? Alison Battisby: [00:27:15] Do you know what, it's really interesting you say that because since launching the new website in April, I've had more people get in touch with me who have been completely out of the blue, who haven't been to one of my talks or events and have just found my website and have booked on to do a one to one coaching session. So it's got to be the video that they are realising or using as a way in to know a bit more about me because normally people would only book a one to one coaching session if they'd seen me in action, But I really do believe that the video is providing that for them. Because I do speak for a little bit in the video. Yeah it's just so nice I think to be able to see me as well as soon as you land on the website and be like oh yes this is the right website, this is Alison's website, I recognise her now from that event I went to six months ago, so I am really pleased with how it all turned out. Alison Battisby: [00:28:20] Yes yes, that's the keyword! A lot of people spell avocado wrong though which I didn't even realise. People do spell it a-v-a a lot. Steve Folland: [00:28:33] It's av-a-cado. Alison Battisby: [00:28:34] But it's av-o-cado. Steve Folland: [00:28:35] And then you've got people who will want to order online shop from Waitrose who are typing in av-ocado. Alison Battisby: [00:28:42] Yes, Av-Ocado, yes. Steve Folland: [00:28:46] So that makes it sound like you're very much looking at the analytics of your site and stuff. Steve Folland: [00:28:51] Yeah yeah I do look in at GA probably once a month and I'm really pleased that traffic's definitely up since the new website went live. And also I've been sticking religiously to my plan of having at least one blog or week. And that's been working well as well. Steve Folland: [00:29:11] How do you manage that consistency? Alison Battisby: [00:29:13] I now have one of my freelancers helping me with that so I come up with the idea and will send her a few links of references to quote or studies to mention and she puts that together and uploads that for me which is great. Steve Folland: [00:29:29] See that's great but all of this, you see, kind of needs you to get to a point where you can invest in your own business if you see what I mean. Because some of these things aren't directly billable to a client. So it sounds like maybe you have figured out your pricing well, that you can do that. Alison Battisby: [00:29:49] Yeah I think all of this stuff like the webinars, the Facebook group, the blogging. That has only come this year and the business is a year and a half old so I think it's taken time to get to that point but now I am quite confident about some of the enquiries I get in and I'm just a bit more confident generally. [00:30:12] I think it's a funny old world social media because a lot of people call me up and say oh can you do a full day training course for 10 people next week. And luckily I tend to try and keep one or two days free where I'm not booked up so that I could just jump in and take that. And if not then obviously there's always loads of work to be getting on with anyway. But back a year ago I used to be really stressed out... you know, it doesn't look like I've got much coming in next month, I am a bit worried about that. But I've just learned that in social media people like to be very reactive and just as quick as possible as well so often people will get in touch a week/two weeks in advance for a pretty big piece of work as well. Steve Folland: [00:30:59] Does that make it difficult planning time off? [00:31:22] And you know a lot of parts of the business can get away with me just checking my emails and checking social media quickly for an hour in the morning and then letting everything else run on. It just means I wouldn't be able to do any training or workshops or talks during that time so you have just got to be a bit organised in that sense but that's probably why I've taken on so much this month because I know I've got a week off in July. I'm trying to sort of even it all out. Steve Folland: [00:31:53] Okay now I always do this thing where I ask for three facts about yourself, make two true, one a lie and let me figure out the lie. What have you got for me? Alison Battisby: [00:32:01] Okay so here's three for you. Alison Battisby: [00:32:03] First of all, I appeared on French TV speaking about social media. Alison Battisby: [00:32:09] Number two, I trained the BBC on how to use Periscope and Snapchat. Alison Battisby: [00:32:14] And number three, I was on the line-up at a digital conference with Google in Romania. Steve Folland: [00:32:22] What's the French for social media? Alison Battisby: [00:32:24] So I was speaking about how we should run social media, so Facebook Twitter, for small businesses on a French TV station. Steve Folland: [00:32:34] So did you look up the word for social media in French? Alison Battisby: [00:32:38] I think they refer to it as social media. So I was quite lucky. Steve Folland: [00:32:42] Really? The French hate using English words. Alison Battisby: [00:32:46] Social media. Alison Battisby: [00:32:47] Yeah you busted me. Steve Folland: [00:32:56] YES! The French would blatantly have a word. Alison Battisby: [00:32:58] Yeah, I need to look that one up actually. Steve Folland: [00:33:02] If you could tell your younger self one thing about being freelance what would it be? Steve Folland: [00:33:08] I would probably say be confident, just be confident in what you're offering your clients and be confident that you will do a really good job for them. Looking back to how I was freelance in 2011 I was a bit nervous and didn't really hold my ground in things like meetings and agreeing contracts and things like that. Whereas now if something looks like it's going to take a decent amount of time you know I will say actually do you know what that is going to take three days/four days work. And if the client comes back and says well you know we've only got budget for two then you're only going to be able to do two days work for them whereas back in the day I kind of would have been a bit like, oh okay. [00:33:50] So I think, have confidence. Steve Folland: [00:33:52] Yeah I think that's... That you're right that, that comes with time, that comes as a confidence thing. Steve Folland: [00:33:58] But when you did used to just say yeah okay I'll do it. Did you find... because this is what I found that... you then kind of almost end up resenting that project. Alison Battisby: [00:34:08] Definitely. Definitely yeah. And you'd just be sitting there going I can't believe I agreed to do this and you wouldn't end up doing a great piece of work ever. So I think just being honest and being confident are asort of my my top tips. Steve Folland: [00:34:25] Check out beingfreelance.com for links to Alison and Avocado Social and and everything that they're up to. Sign up for the webinars for example if that floats your boat. [00:34:39] And of course while you are beingfreelance.com, check out all of the other guests which are on there. No matter what they do, it's worth having a listen to their experiences and learning from it and you can sign up to our newsletter there. And if you've enjoyed this episode please do share it with other freelancers. Or leave a review on the likes of iTunes as well because it really does help us get found and spread the word as well. Steve Folland: [00:35:00] Alison thanks so much for your time. Alison Battisby: [00:35:02] No problem it's been a pleasure. Steve Folland: [00:35:04] All the best being freelance. Alison Battisby: [00:35:11] Oh I've just found the answer. It's media social. If only I'd done a bit of Googling before I tried to lie.